"They've done more good than harm. By most calculations." Factions are groups that Guardians can join and earn Reputation with. Most factions are based within the Last City, but some are found elsewhere, such as the Reef. Completing activities for a faction allows Guardians to increase their rank with them and earn rewards. On the other hand, there are some factions that cannot be joined because they have no Reputation stat, and furthermore, the enemy races have their own factions dedicated to their own goals. These three factions form the City's government, the Consensus, and seek champions among the Guardians to represent them in the Crucible. Guardians may pledge themselves to a faction for a fee of 2500 Glimmer to support it and earn faction-specific rewards, such as Weapons, Armor, Emblems, and Shaders. Guardians can only change their allegiance once per week, and must pay the fee each time. Players continue to earn Vanguard or Crucible Reputation in addition to Reputation with their faction. If players earn Level 25 Reputation with a Faction, they'll unlock a Faction quest that rewards an Exotic Class item that increases Reputation gains with that Faction. 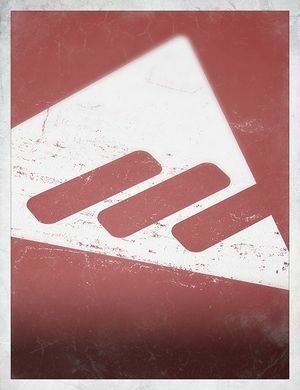 New Monarchy is a monarchist faction that believes humanity should strive to restore the lost glory and order of the Golden Age, and that the ideal way to achieve that is by uniting the Last City under a single, benevolent ruler invested with absolute authority. New Monarchists view the Consensus as a tenuous compromise that impedes the path to true progress. They patiently await the day when the Consensus voluntarily abolishes itself and a monarch is chosen by acclamation. 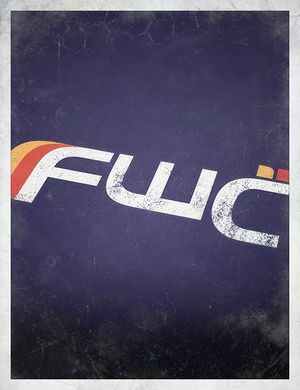 In Destiny 2, the factions return to compete against one another in the Faction Rallies event, where one of the factions is declared the winner by receiving the most support from players across all available activities. These factions give Reputation to Guardians by default. 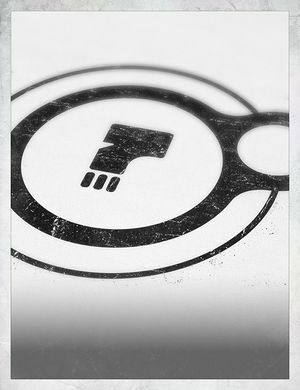 Vanguard—the default faction for all Guardians. The Vanguard advise Guardians on missions and see to the City's defense. Guardians earn Reputation with the Vanguard by completing Patrol missions, Story Missions, Strikes, and Vanguard Bounties. Crucible—the City's competitive arena. Guardians earn Reputation by competing and completing Crucible bounties, and Lord Shaxx's weekly bounties. Iron Banner—a special tournament in the Crucible. Guardians earn Reputation by winning matches and completing Iron Banner bounties. Formerly hosted by Lord Saladin and currently overseen by Lady Efrideet. Cryptarch—any Guardian who brings engrams for decoding are rewarded for their discoveries. Gunsmith—field test weapons for the Tower's gunsmith, and he'll reward you with a special delivery with one of the City's Weapon Foundries. Sparrow Racing League—complete and win Sparrow races to increase SRL Event Standing and earn better rewards. The Tower Shipwright hosts the event. These individuals seek the help of Guardians for their own agendas. Crota's Bane—Eris Morn is the sole representative of this faction, and is obsessed with stopping Crota, Son of Oryx and Oryx, the Taken King. Completing her bounties will unlock items for sale exclusive to her. Queen's Wrath—the Reef is hiring Guardians to eliminate dangerous members of the House of Wolves and the Taken that have escaped into the wild. The Queen's Guard awards those who brings the Reef's enemies to justice. House of Judgment—the Queen wants the Prison of Elders cleared of its prisoners, and has tasked Guardians with this duty in exchange for treasures. 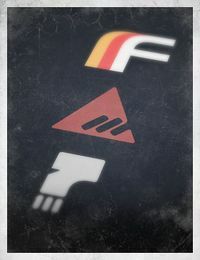 These factions are named, but cannot be joined by Guardians to date. Cult of Osiris—a cult dedicated to the teachings of Osiris. Players can interact with its representative, Brother Vance, but cannot earn Reputation with them. Symmetry—a minor faction that was founded on the teachings of Ulan-Tan. Barred from the Consensus for being too dangerous. Concordat—a former Consensus member, ejected after its founder, Lysander, was exiled. House of Devils—noble House located on Earth, most commonly encountered by Guardians. Devil Splicers—a radical sect of the Fallen Splicers belonging to the House of Devils. House of Kings—secretive yet dangerous noble House on Earth rarely seen by Guardians. House of Exile—a House of outcasts from the Battle of Twilight Gap located on the Moon. House of Winter—large Fallen House on Venus looking to secure Vex technology. House of Wolves—Fallen House that was once loyal to Mara Sov but rebelled under the leadership of Skolas, Kell of Kells. House of Dusk—a mysterious Fallen House that emerges during the Red War, engaging every other faction in the system. Scorn-a rogue faction of Fallen pirates that broke out from the Prison of Elders following the Red War. The Hidden Swarm—the Hive's outermost line of defense on the Moon, most commonly encountered by Guardians. Spawn of Crota—direct servants of Crota, Son of Oryx. Cult of the Worm—a desperate brood contained in the Prison of Elders. Blood of Oryx—direct servants of Oryx, the Taken King. The Silent Brood—wardens of The Sunless Cell on the Dreadnaught. Venom of Oryx—seen only in The First Firewall Story mission. Savathûn's Hive—servants of Savathûn, found on Titan. Grasp of Nokris—servants of Nokris and Xol, found on Mars, Hellas Basin. Hezen Corrective—Vex units that seek out and attack the House of Winter on Venus. Hezen Protective—protectors of important Vex sites like The Citadel. Virgo Prohibition—aggressive and relentless Vex units that test the Cabal's Exclusion Zone. Sol Divisive—protectors of the Black Garden. Precursors—ancient yet futuristic Vex in the Vault of Glass. Descendants—extremely old Vex from the future in the Vault of Glass. Unidentified Vex collective—Vex programming collective active on Nessus, Io, and Mercury. Sand Eaters—most commonly encountered infantry on Mars. Dust Giants—highly trained soldiers used to reinforce crumbling lines and fend off Vex offensives. Siege Dancers—elite forward soldiers that take over newfound territory. Ice Reapers—an elite Psion unit including the Psion Flayers. Blind Legion—soldiers that seek out and defend Vex artifacts on Mars. Broken Legion—a renegade detachment contained in the Prison of Elders. Skyburners—celestial demolitions fleet; formerly a reserve fleet until the Taken War. Red Legion—elite Cabal special forces Legion; sent to capture the Traveler in Destiny 2. Loyalists—the loyal followers of Emperor Calus who serve him aboard The Leviathan. Taken—the personal army of Oryx, the Taken King, composed of corrupted and enslaved members of other enemy races.